Memory Lane is a very special collection of eight individual 1:48th kits which have been inspired by our very own Petite Properties' logo. Available individually or as a complete street, each property has been named to celebrate a special 'Broadwood' family memory or place. 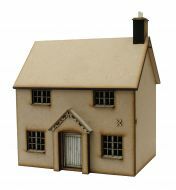 So why not build your own miniature street and bring your memories to life.